How to install livechat in the Manifo.com? After logging in to the administration panel go to the Editor section. 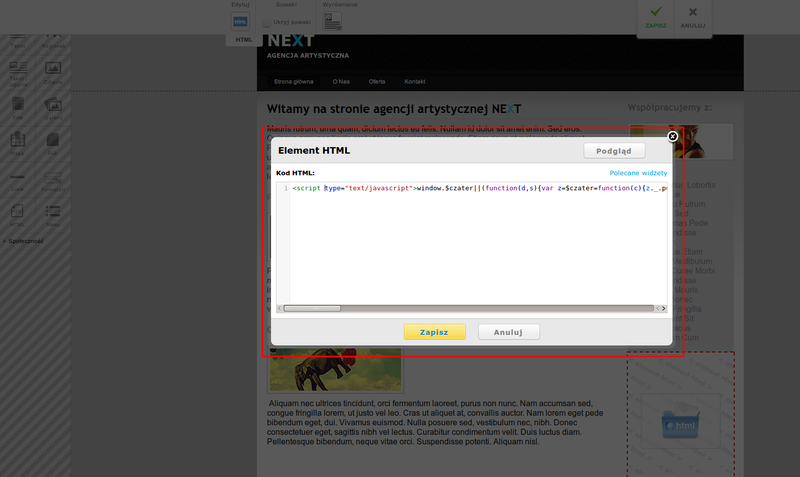 in a menu in the left side, select the option HTML code. Next, we determine the location where the code is to appear and paste the chater code.